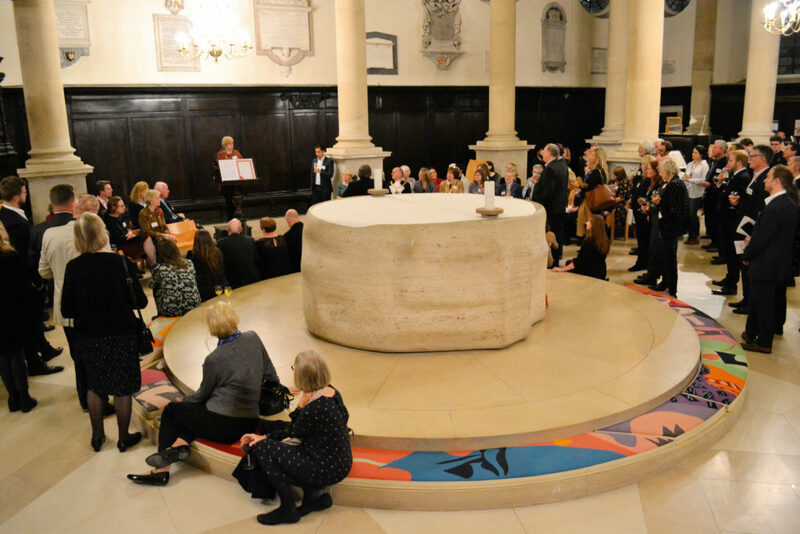 The Central London Samaritans (CLS) is the original branch of the Samaritans, established on 3rd November 1953 in St Stephen Walbrook by The Reverend Chad Varah. Over the past 65 years volunteers in the branch, along with the 201 branches founded across the country since then, have provided a safe place for people to talk about whatever is troubling them, at any hour of the day or night, every day of the year. Much has changed since the days when the CLS were based in the crypt below the church. Samaritans services have adapted to reflect changes in society – and today CLS includes outreach to the homeless and those in prison. However, the basic principles have always remained the same; Samaritan volunteers are still available, around the clock, to offer a unique emotional support service. We were delighted that The Rt. Hon. The Lord Mayor, Charles Bowman was able to join the Central London Samaritans at a special event to mark their 65th anniversary. He was made an Honorary Samaritan for his work over the past year fundraising for the charity as part of the Lord Mayor’s Appeal. At tonight’s event we heard from Jenni McCartney, Chair of the Samaritans, Felicity Varah Harding, daughter of Dr Chad Varah and three volunteers from the Central London Samaritans, talking about the past, present and future of the branch. 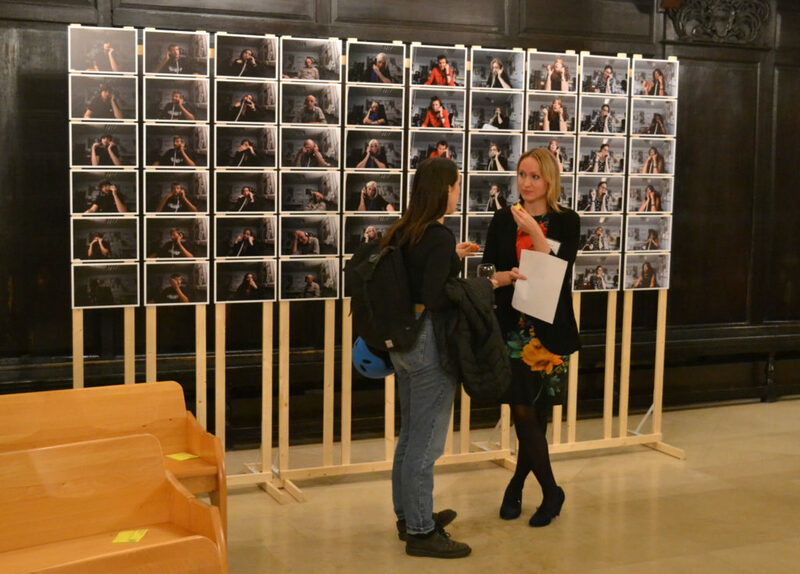 Guests had the opportunity to see “First Duty” – a photographic study of listening by Phillip Job, a Samaritan volunteer at the Lewisham branch and a documentary photographer. The exhibition captures Samaritan volunteers from the Lewisham branch in time-lapse, answering calls. Telephones, part of the exhibition, allow people to listen in to hear about Samaritans’ experience of listening. 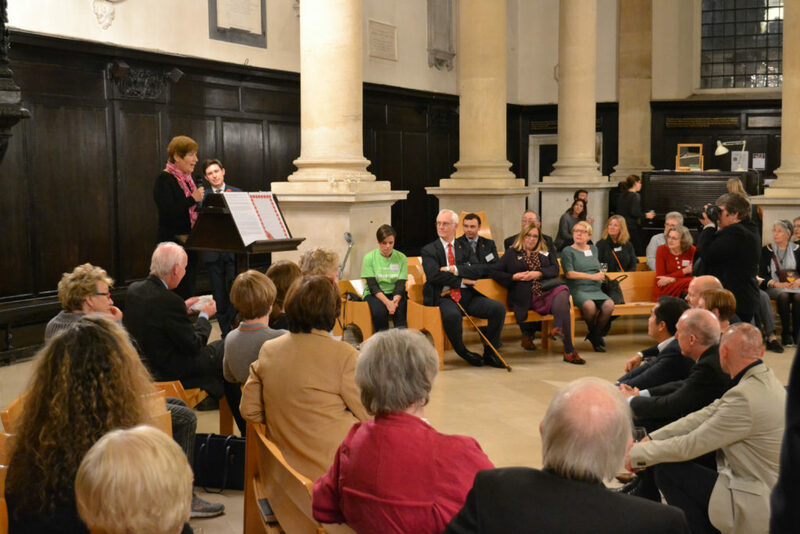 Catering was provided by Coq d’Argent and music was provided by a string quartet – Ruth Gibson, Emily Nebel, Claudia Ajmone-Marsan and Vladimir Waltham. We are proud to be the birthplace of the Samaritans and are delighted that so many came tonight to remember this special event and reflect on the past, present and future of this important organisation.